So even before you begin your blog you have to think of the keywords that your site can and do rank with. Keywords to Rank Your Blog where do you put them? You can create an attention grabbing headline as your title and it can contain your selected keywords. Make an online search to see what the competition is like for the headline; are you going to stand out? You can use a whole keyword phrase as a title, not with the intention of sticking with it as your headline. Add you blog to Draft and you can change it, without is affecting the url of the blog. Don’t overuse your keywords. The longer your blog the more opportunity you have to add your keywords. A small % of keywords feature in the content, it has to read very naturally for your audience. In the body of your blog feature these keywords close to the beginning and further into the blog you can anchor text and create links. Make lists or bullet points this helps break the block feeling of the content. An online audience often has a low attention span; there is so much to distract them away from your blog. Breaking up the content and highlighting words or making them bold all adds to how easy it is for them to get through it quickly and not get bored. Creating new content is like having a spring clean or giving your house a lick of paint. Content keeps your website lively and fresh. It will keep your audience coming back for more; you will engage a loyal following and other sites will be looking at you to link to. Now this advice is to help you be as natural as you can be and not intended to try and trick search engines into placing you at the top because you have found a load of keywords or phrases that will be picked up and stuffed the blog full of them. Keyword Research. 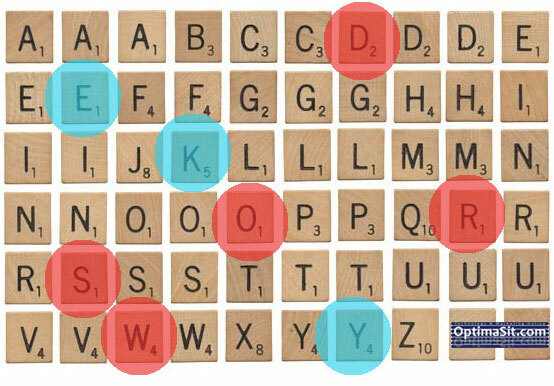 What words are obvious for online searches? Make a list. Keyword Phrases. Low – middle weight competition. There is no point trying to outplay the leaders, aim for some middle ground and give yourself a fighting chance of being noticed. Your phrases are the questions your audience ask, the How, What, When, Where and Why? Now type these questions into a search engine like Google or Bing. As you type phrase already begin to appear these are the most popular searches and at the bottom of the page it will show you a selection of the most popular searches. What to do with your keywords? Write your blog with the keywords in mind. Remember you still have to write naturally and if there is opportunity to add your keywords it will present itself. You can always find a way around this when you edit your blog. Use the keywords in your title. Create a catchy headline with a sense of urgency and adjectives are always good. Repeat your keywords in the blog. Don’t overuse them though, you have been warned! Use you keywords in your title tags. This is good SEO practice and if you are using a WordPress plugin, such as Yoast, you are looking to get the Green Light! Use your Keywords in your meta description. Again good SEO practice and all adds to the Green Light, which is telling you, you are good to go. Connect your images with the main keywords in your blog, make the images relevant and from the beginning your audience have an idea what subject you are writing about. Adding this to the images in the backend is all part of the SEO and your images will appear in searches as well as the blog. Create a subscription option to your blog or offer to add to email list. This is the perfect chance to create a loyal following to your blogs. Add them to your newsletter as well and generate more movement to your website. Add your blog to your own social media channels, use #’s that will help your audience find you easier. The #hasnospaces, think of the best matching search to your page. You can look at what is trending and also create a # unique to you. Places like Stumbleupon, Blogarama, Reddit, Tumblr…. Use external links to other sites, for further reading or backup evidence. Use internal links to have them check out other content on your site.